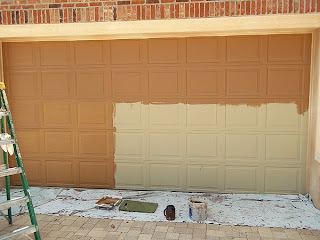 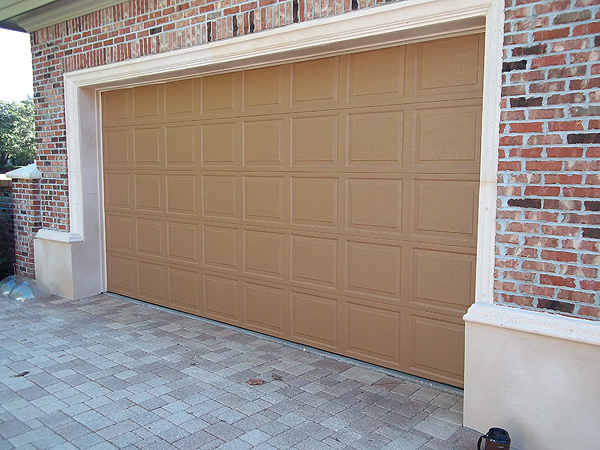 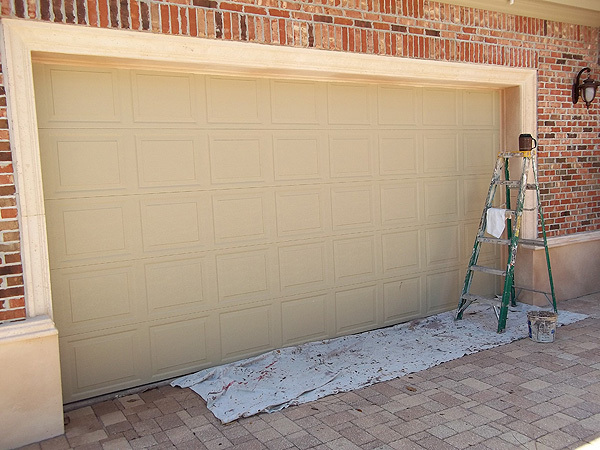 I got started on painting a garage door to look like wood this week. 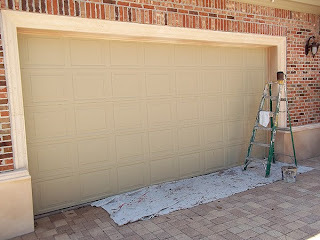 The door was previously painted a light green. First thing I did was to clean the door really well then I applied the base coat of paint.